Secure document destruction is a requirement in today's highly sensitive information breach environment. That is why a growing number of companies are choosing to partner with Commercial Records Center for document destruction in El Paso, in part for the added security of its AAA certification from the National Association for Information Destruction (NAID). Commercial Records Center, which also provides media backup in El Paso, is a premier provider of shredding services for corporate and organizational clients. In addition, residential and walk-in customers can access Commercial Records Center's convenient location at 205 Ange St. in El Paso. "Securing our customers' information is priority one for our team," says Blanca Armendariz, Account Rep at Commercial Records Center. "The last thing you want is for your sensitive corporate or personal information to fall into the wrong hands, and we take the appropriate steps to earn AAA certification from the standards-setting body for our industry." Commercial Records Center follows a number of security procedures to ensure the safety of destroyed information for its customers. 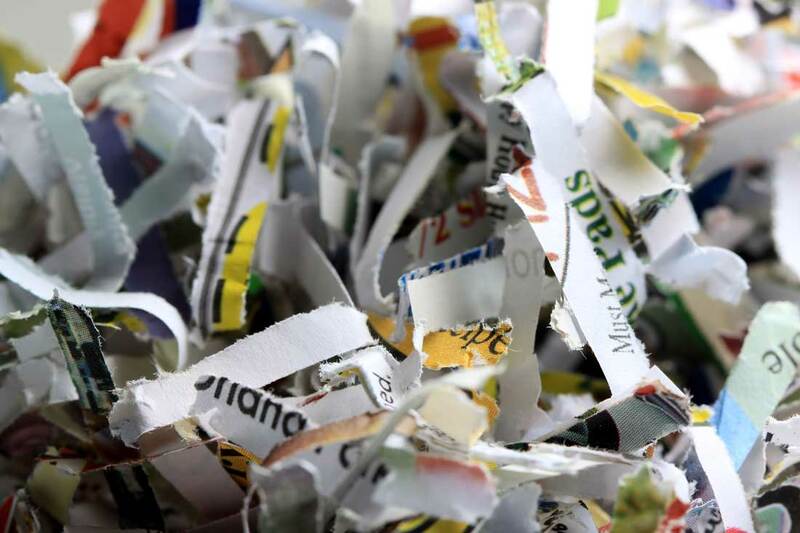 Document destruction can include everything from personnel information such as Social Security numbers and birthdates to corporate information ranging from memos to old invoices. "We carry professional and liability insurance to add an extra level of protection for our clients," Armendariz says. "Earning and retaining the NAID's AAA certification requires that we follow specific policies and procedures, and we are subject to random audits at any time." Commercial Records Center uses an Allegheny strip shredder to reduce documents to 3/8-inch strips as the first step in preventing information theft. The shredded material is compiled into bales and sent to a local recycler for processing. The material left over from document destruction is then cleaned by paper mills and used to make other products, further minimizing environmental impact. Commercial Records Center is a local records management company specializing in records and media storage, online data backup, scan-on-demand services, and document and hard drive destruction for customers in the El Paso, Texas, and southern New Mexico area. The company offers mobile shred service for all commercial and residential customers and is certified by the National Association of Information Destruction. View original article on document destruction here.